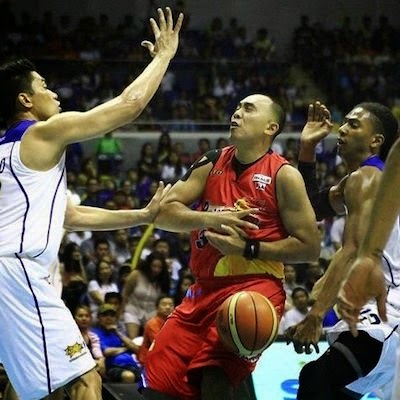 Momentum has swung in the 2015 PBA Commissioner’s Cup Finals. After beating TNT in Game 2 and then convincingly thrashing the Texters again in Game 3, the Rain or Shine Elasto-Painters have swung the series’s momentum their way. Now, coach Yeng Guiao is just two wins away from giving ROS only its second franchise title. 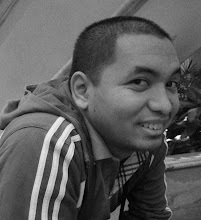 Paul Lee got at least one tooth busted out in Game 3. The Rain or Shine Elasto Painters may not have gotten off to the best start in the PBA Commissioner’s Cup finals but that won’t mean much now as they breezed past Talk ‘N Text, 109-97, in Game Three on Sunday at the SMART-Araneta Coliseum. 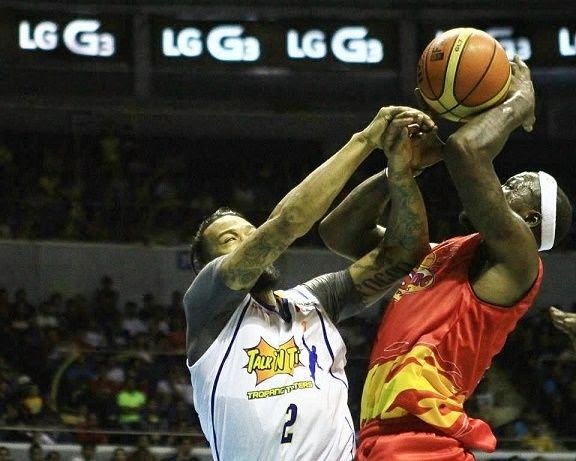 Wayne Chism had 32 points and 15 rebounds and Paul Lee had 17 points and 5 assists to lead the way for the Elasto Painters, who now lead the series, 2-1, after winning the last two games. Jericho Cruz and Jeff Chan added 14 and 12 points, while Gabe Norwood and Chris Tiu each had 5 assists in another strong team effort. Rain or Shine looked like it would run away with the game in the second quarter. JR Quinahan and Tiu hit back-to-back three-pointers and Tiu added two free throws to make it eight straight points for the Elasto Painters. Ranidel De Ocampo tried to stem the tide from the free throw line but could only come away with a split and baskets from Lee, Quinahan and Chism made it a 14-1 run that extended the lead to 17 points, 46-29. The Rain or Shine lead stood at seven, 52-45, at the half with Chism leading the way with 18 points and 12 rebounds. His Talk ‘N Text counterpart Ivan Johnson had 13 and 9, while Game Two star Jayson Castro had 12 points but needed 14 shot attempts to get it. The third quarter was a wild, physical affair that saw Lee exit the game after getting bloodied by an elbow from Johnson. He lost a tooth in the encounter but managed to return in the fourth. 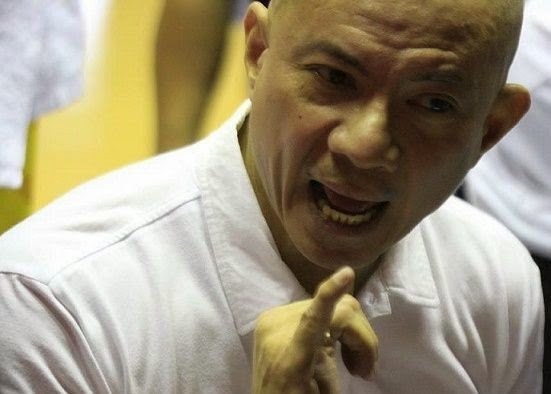 Not even Rain or Shine coach Yeng Guiao was spared, as, in a different possession, he tripped onto the floor after avoiding Johnson, who was diving into the Rain or Shine bench while trying to save the ball from falling out of bounds. The Elasto Painters were unfazed, though, as they outscored the Tropang Texters, 32-20, in the period as they extended the lead to 19 points, 84-65. Rain or Shine then pushed the lead to as high 22 points, 93-71, after Tiu found Quinahan cutting to the hoop for a wide open layup with only eight minutes to play. De Ocampo tried to keep the team in the game, knocking down two three-pointers to spark a Talk ‘N Text run. A couple of points from Johnson and a three from Fonacier got them to within 13, 98-85, with over six minutes still to play. But Rain or Shine would snuff out any hopes of coming any closer as Chan found Quinahan on a backdoor cut for a layup and Jericho Cruz hit a trey to make it an 18-point game once again. Line of the Game: Wayne Chism (ROS) - 32pts, 15rebs, 3asts, 3stls, 2blks, 3 triples. 10/15 FGs. Jay Washington tries to stop Wayne Chism. 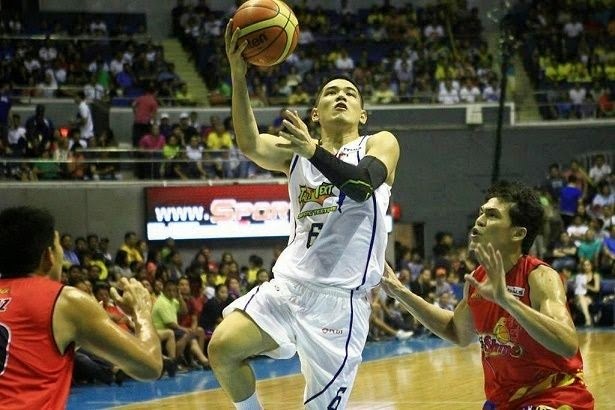 Kevin Alas goes up for a lay-up against ROS. 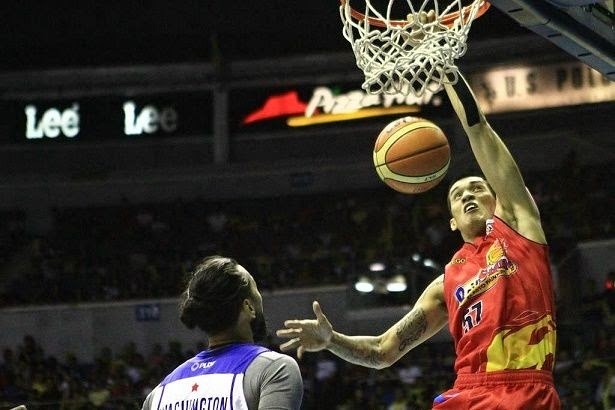 Raymond Almazan slams one home with impunity. Coach Yeng is just two wins away from giving ROS its second franchise title.